Are you in need of a high quality, affordable alloy wheel repair service? Look no further than The Chip Wizards. We provide a professionals alloy wheel refurbishment and repainting service that is second to none. Some repairs are necessary, such as accident damage, but it’s worthwhile having minor damage fixed too. Your car will look so much better when the wheels are clean and smooth. You’ll feel so much better about your car, and it’s resale value will increase as well. If you are selling your car it’s important to impress the would be buyer straight away, so don’t let your pride and joy be let down by unsightly scuffed or scratched alloys. Whatever the damage to your wheels, we can repair them and bring them back as good as new. 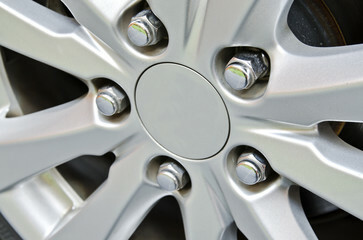 From minor damage like kerb scuffs, salt corrosion and stone chips to major cracks and dents, we can fix your wheels. We have trained technicians and specialist equipment in our new, larger workshop in Boughton, Nottinghamshire. We can fix wheels of any size and manufacturer, and in any finish including painted wheels and diamond cut alloys. Repairs can usually be done in a day, we will arrange with you a date and time for delivery and collection of your vehicle. Please remember to have your locking wheel nut key with you when you drop your car off with us. Give us a call or fill in the form on this page – you can include a photo if you like to help us get a better idea of the damage – and we will be in touch with a hard to beat quotation for your alloy wheel repair.